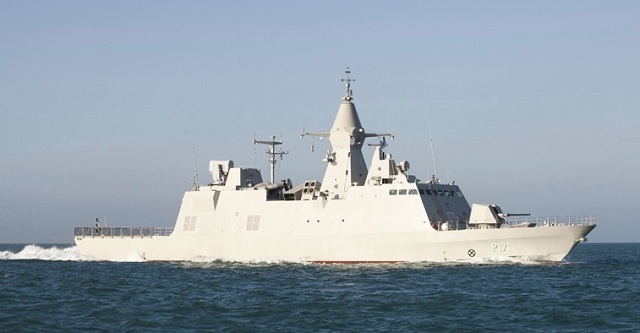 Abu Dhabi Ship Building (ADSB), the leading shipbuilder and naval support services provider in the Gulf region launched "Mezyad", the fourth vessel of the Baynunah Multi-Mission Corvette Class Program for the UAE Navy and the third vessel under the Baynunah fleet constructed by ADSB. The vessel was launched in the presence of senior officials from the UAE Navy and ADSB. Mohamed Salem Al Junaibi, CEO of ADSB, said: "The launch of the Mezyad once again demonstrates ADSB's advanced capabilities and strong commitment to the highest quality standards. The Baynunah Corvette Class Program, which is the largest warship construction program and a first-of-its-kind project in the region, will significantly boost the arsenal of the UAE Navy and enable it to effectively fulfil its constitutional duty of protecting the UAE's maritime territory. The launch of the fourth vessel of the Baynunah Corvette Class Program is certainly an excellent way to start 2012, marking another milestone in our years of excellence and success as a leading shipbuilder and naval support services provider in the region and around the world. Moreover, ADSB has even more reason to celebrate as we announce the expansion of our shipbuilding facility's quay wall, which allows us to accommodate more ships and serve our clients better." Construction of the Mezyad started with steel cutting for hull construction on May 10, 2007. The keel was laid on November 28, 2007, while the hull was completed in 2008 and the superstructure was installed later that year. The ship's hull is made of steel and the superstructure is made of marine-grade aluminium. The leadship of the class was built in France by CMN shipyard while the 5 remaining ships of the class are to be built locally by Abu Dhabi Ship Building. While light in displacement (right below 1,000 tons) the Baynunah class are heavily armed for their class. Designed for coastal warfare, these corvettes may also conduct blue water operations. The Baynunah Class incorporates a few of stealth features such as sloped superstructures and all remote operated weapons. Its hull is made of steel while the superstructures are made in aluminium.